In this international environment, the risk of an inter-state war between great and middle powers has clearly increased….What we had been observing in many places around the world was a dramatic increase in brinkmanship, that is, highly risky actions on the abyss – the abyss of war…. Ischinger is not alone in his desperation nor are his feelings limited to elites and intellectuals. By now, most people are familiar with the demonstrations that have rocked Paris, the political cage-match that is tearing apart England (Brexit), the rise of anti-immigrant right-wing groups that have sprung up across Europe, and the surprising rejection of the front-runner candidate in the 2016 presidential elections in the US. 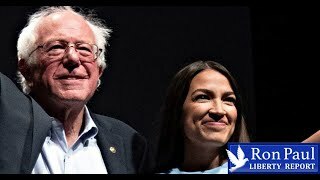 Everywhere the establishment and their neoliberal policies are being rejected by the masses of working people who have only recently begun to wreak havoc on a system that has ignored them for more than 30 years. Trump’s public approval ratings have improved, not because he has “drained the swamp” as he promised, but because he is still seen as a Washington outsider despised by the political class, the foreign policy establishment and the media. His credibility rests on the fact that he is hated by the coalition of elites who working people now regard as their sworn enemy. There are several reasons why all this is happening, and why now. The rise of populism is in part a response to stagnating incomes and job loss, owing mostly to new technologies but widely attributed to imports and immigrants. Nationalism is a tool increasingly used by leaders to bolster their authority, especially amid difficult economic and political conditions…. Haass’s critique illustrates the level of denial among elites who are now gripped by fear of an uncertain future. As we noted earlier, the center of gravity has shifted from west to east, which is the one incontrovertible fact that cannot be denied. Washington’s brief unipolar moment –following the breakup of the Soviet Union in December, 1991 — has already passed and new centers of industrial and financial power are gaining pace and gradually overtaking the US in areas that are vital to America’s primacy. This rapidly changing economic environment is accompanied by widespread social discontent, seething class-based resentment, and ever-more radical forms of political expression. The liberal order is collapsing, not because the values espoused in the 60s and 70s have lost their appeal, but because inequality is widening, the political system has become unresponsive to the demands of the people, and because US can no longer arbitrarily impose its will on the world. Globalization has fueled the rise of populism, it has helped to exacerbate ethnic and racial tensions, and it is largely responsible for the hollowing out of America’s industrial core. Haass’s antidote would only throw more gas on the fire and hasten the day when liberals and conservatives form into rival camps and join in a bloody battle to the end. Someone has to stop the madness before the country descends into a second Civil War. What Haass fails to discuss, is Washington’s perverse reliance on force to preserve the liberal world order, after all, it’s not like the US assumed its current dominant role by merely competing more effectively in global markets. Oh, no. 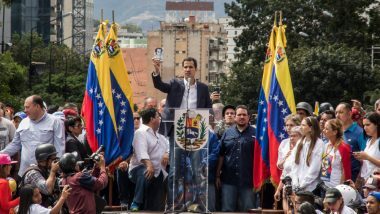 Behind the silk glove lies the iron fist, which has been used in over 50 regime change operations since the end of WW2. The US has over 800 military bases scattered across the planet and has laid to waste one country after the other in successive interventions, invasions and occupations for as long as anyone can remember. This penchant for violence has been sharply criticized by other members of the United Nations, but only Russia has had the courage to openly oppose Washington where it really counts, on the battlefield. Russia is presently engaged in military operations that have either prevented Washington from achieving its strategic objectives (like Ukraine) or rolled back Washington’s proxy-war in Syria. Naturally, liberal elites like Haass feel threatened by these developments since they are accustomed to a situation in which ‘the world is their oyster’. But, alas, oysters have been removed from the menu, and the United States is going to have to make the adjustment or risk a third world war. “We all know that after the end of the Cold War the world was left with one center of dominance, and those who found themselves at the top of the pyramid were tempted to think that, since they are so powerful and exceptional, they know best what needs to be done and thus they don’t need to reckon with the UN, which, instead of rubber-stamping the decisions they need, often stands in their way…. It seems, however, that instead of learning from other people’s mistakes, some prefer to repeat them and continue to export revolutions, only now these are “democratic” revolutions. Just look at the situation in the Middle East and Northern Africa already mentioned by the previous speaker. … Instead of bringing about reforms, aggressive intervention indiscriminately destroyed government institutions and the local way of life. Instead of democracy and progress, there is now violence, poverty, social disasters and total disregard for human rights, including even the right to life. Here Putin openly challenges the concept of a ‘liberal world order’ which in fact is a sobriquet used to conceal Washington’s relentless plundering of the planet. There’s nothing liberal about toppling regimes and plunging millions of people into anarchy, poverty and desperation. Putin is simply trying to communicate to US leaders that the world is changing, that nations in Asia are gaining strength and momentum, and that Washington will have to abandon the idea that any constraint on its behavior is a threat to its national security interests. Former national security advisor to Jimmy Carter, Zbigniew Brzezinski, appears to agree on this point and suggests that the US begin to rethink its approach to foreign policy now that the world has fundamentally changed and other countries are demanding a bigger place at the table. “The fact is that there has never been a truly “dominant” global power until the emergence of America on the world scene….That era is now ending….As its era of global dominance ends, the United States needs to take the lead in realigning the global power architecture….The United States is still the world’s politically, economically, and militarily most powerful entity but, given complex geopolitical shifts in regional balances, it is no longer the globally imperial power. America can only be effective in dealing with the current Middle Eastern violence if it forges a coalition that involves, in varying degrees, also Russia and China…. A constructive U.S. policy must be patiently guided by a long-range vision. It must seek outcomes that promote the gradual realization in Russia… that its only place as an influential world power is ultimately within Europe. China’s increasing role in the Middle East should reflect the reciprocal American and Chinese realization that a growing U.S.-PRC partnership in coping with the Middle Eastern crisis is an historically significant test of their ability to shape and enhance together wider global stability. The alternative to a constructive vision, and especially the quest for a one-sided militarily and ideologically imposed outcome, can only result in prolonged and self-destructive futility. This strikes me as a particularly well-reasoned and insightful article. 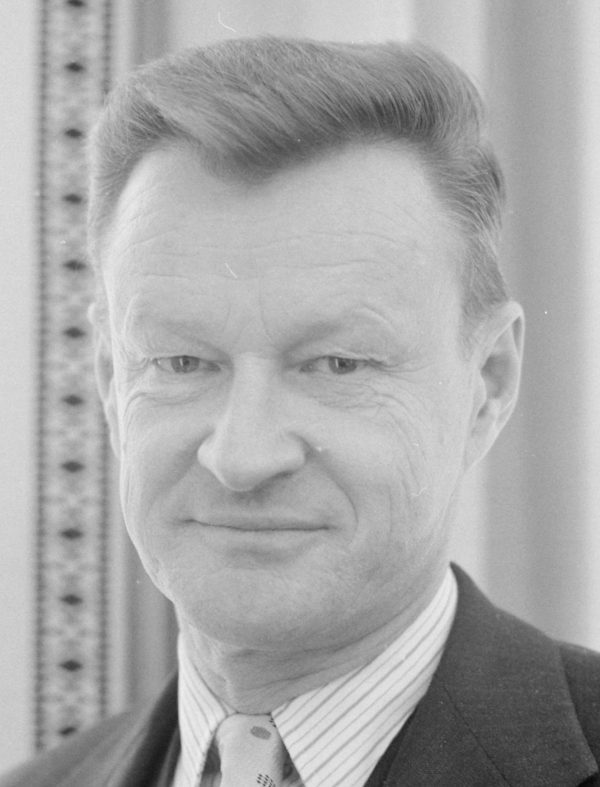 It shows that Brzezinski understood that the world had changed, that power had shifted eastward, and that the only path forward for America was cooperation, accommodation, integration and partnership. Tragically, there is no base of support for these ideas on Capital Hill, the White House or among the U.S. foreign policy establishment. The entire political class and their allies in the media unanimously support a policy of belligerence, confrontation and war. The United States will not prevail in a confrontation with Russia and China any more than it will be able to turn back the clock to the post war era when America, the Superpower, reigned supreme. Confrontation will only accelerate the pace of US decline and the final collapse of the liberal world order. 38 Comments to "Brzezinski's Warning to America"
Zbig has fially admitted that America needs to become friends with Russia. We can not handle the world alone,but with Russia we would have 90% of the worlds nuclear weapons and vast geopolitical ifluence. Americans do hot have anything against Russia. It is the neocon cabal that is fostering conflict . Thet just can not get over the fact that they tried and failed to take control of Russia. They are trying to do so to the u.S.A.
Zbig is right. We need to be friends with Russia , not enemies. ”2. Russia should become the real leader of the new process. (It has already become it but not yet aware of the fact.) The West and Israel need a strategic alliance with the Muslim world more than anything else, and this alliance is possible only through Russia. Only Russia in an alliance with the Muslim world can keep China in check without conflicts, helping it find its new place in the world as another super-power. ”THE AMERICANS DON’T REALIZE IT YET, BUT CHINA HAS WRITTEN ITS OWN SCRIPT FOR SQUEEZING THE UNITED STATES OFF THE WORLD STAGE. CHINA SUPPORTS ACTIONS OF THE WEST AIMED AT MUTUALLY ASSURED DESTRUCTION OF RUSSIA AND THE MUSLIM WORLD. THE WEST, RUSSIA, ISRAEL, AND THE MUSLIM WORLD MUST WORK TOGETHER. “Using techniques of manipulating public opinion, the West is trying to establish the illusion of a global forces with the fascist- like ideology of Wahhabi fundamentalism. As far as the West is concerned, Wahhabi and Islam are the same thing. It is because of this that the essential terrorism of Wahhabi ideas is being formulated so simply for public consumption: all Muslims are terrorists by nature. 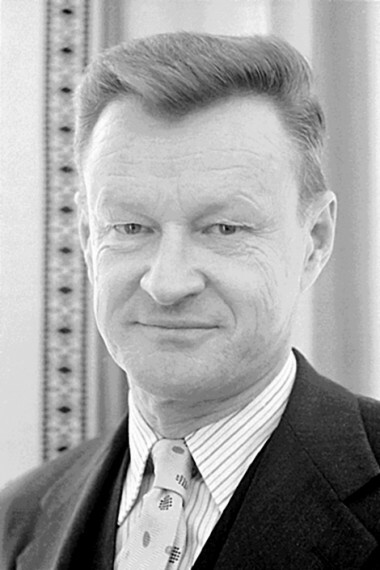 What most people don’t realize about Brzezinski, is that he dramatically changed his views on global hegemony a few years after he published his 1997 masterpiece The Grand Chessboard: American Primacy and Its Geostrategic Imperative. In his 2012 book, Strategic Vision, Brzezinski recommended a more thoughtful and cooperative approach that would ease America’s unavoidable transition (decline?) without creating a power vacuum that could lead to global chaos. So somebody put forth a deluded crack-pot idea that got great traction and made a lot of people very rich and powerful who want to stay that way, but the originator now says he was wrong and we should change. Yeah, those rich and powerful people just have to agree to give up some of that. How likely is that without a major catastrophe forcing them, given what we know about human nature? Maybe the lesson is to have realistic ideas about foreign policy and relations in the future. Did anybody seriously believe countries with long histories like Russia and China were always going to be happy playing second fiddle to the US? True, but their problem is compounded with their fear which is anchored in the past, whose real history blows all current, being discredited as I type this, narratives out of the water. This, plus most of them, Haas and CFR included, do not operate with actual facts and data. Unfortunately, this is probably not entirely feasible considering the United States’s inappropriately close relationship to Israel and the American government’s radical stance of forcing LGBTQ issues; as San Jose proves, these people aren’t simply going to leave you alone, but rather they will make you conform under threat. Probably what will happen in the future is a Japan-EU-Russia alliance that makes peace with the Middle East and contains the Chinese military as much as possible. The US could very well find itself cut out at some point. It has already proved itself both reckless and incompetent with its handling of Iran, Israel, and Venezuela. Also, I suspect that neither ordinary EU citizens nor Asians will want to be ruled over by a group of POC racists who discriminate against Europeans, Asian males, and traditional families. I think the rest of the world should begin considering alternate defense arrangements. The US cannot afford to defend their interests forever with an aging, shrinking white Caucasian population and a growing, less capable and less conscientious replacement population less willing to die in imperial wars. Increasingly, the US will be less capable of defending others in the Pacific from China as it Affirmative Actions its air force; Obama was trying to do that throughout the whole of the American military and accomplished his objective by lowering standards. I think this process should continue in the future with disastrous results. In the future, Asia will try to make peace with China before they get too strong and China will reciprocate with generous territorial concessions in exchange for neutrality. For example, the Chinese may relinquish territorial claims in the Philippines in exchange for a treaty stating that the Philippines will not base the American military or buy weapons from them, but they would be allowed to buy weapons from third parties such as the Russians. A series of moves like this might dramatically weaken the American position in the region, allowing China to jumpskip to Africa and the Middle East more effectively. 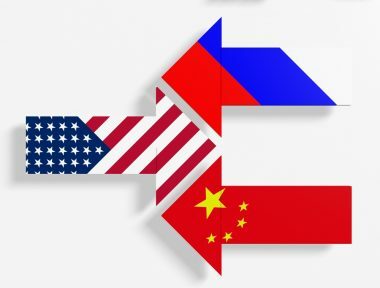 Perhaps a similar deal will be worked out with Taiwan: autonomy and a peace treaty in exchange for no weapon purchases or defense arrangements with the US, but Taiwan could still buy Russian weapons. As Karlin has noted, I don’t see this happening in the near future, not with the insane levels of anti-Russian hate coming from the American left, some of which is just pure racial hatred of whites projected onto Russians. All this is irrelevant in the long run. America will be a third-world country in 50 years or less. Imagine a government filled with AOCs, Omars, and Bookers, with a constituency that matches. Brazil of the North isn’t going to be a superpower. We can look on that as a silver lining. The United States will not prevail in a confrontation with Russia and China any more than it will be able to turn back the clock to the post war era when America, the Superpower, reigned supreme. Confrontation will only accelerate the pace of US decline and the final collapse of the liberal world order. Very dangerous times are ahead. A declining superpower in late empire mode may make risky decisions. I wonder if America will have a Suez event in the upcoming decade? The 1956 Suez crisis heralded the rise of a new superpower and the eclipse of another one. That hadn’t occurred to me. But can it be true? It was over with the passing of the 1947 National Security Act. I don’t know how fucked up you have to be to use “We” to refer to the murderous US State but you should seek competent professional psychiatric assistance, Soon. The attitudes and political beliefs of your average Russian are very similar to many Red State conservatives, as has been noted on this webzine at least once in recent memory (and with an accompanying political map with similarities noted between American Blue and Red States compared with Russia). The American left projects its racist hate onto the Russians in response to those similarities. It is not a coincidence that this anti-Russian climate of hatred started back when Putin showed up the identitarian left’s president, Barack Obama, over Libya. That also explains the left’s hypocrisy on war: their tribe’s racial leader, Obama, wanted war in Libya, so war is now good; Russia opposed it and later prevented war in Syria (which Obama wanted), so the Russians are now the bad guys. It’s purely a matter of tribal affiliation and racial hate on the part of the American left. She already had it and one is unfolding right this moment. For an empire of this size and influence, granted declining dramatically, it takes a sequence of events. “Suez Moment” for Britain happened during WW II, the actual Suez crisis was merely a nominal conclusion to British Empire dying in WW II. True. Syria might have been the American Suez Moment. We’ll see in the coming years if we get a crisis that lays it all bare. We’ll see in the coming years if we get a crisis that lays it all bare. Ongoing real Revolution in Military Affairs and US losing conventional (and nuclear) arms race is what unfolds right now. Realistically, Putin’s March 1, 2018 Speech to Federal Assembly was also one of these moments–as I said, the process is protracted and at each of its phases US geopolitical cards have been aced and trumped, NO pun intended. 2) the central banking mafia who understood globalization was simply their criminal looting of the West backed up by a big military who could be rented out from a corrupted political class. the same three things have been destroying civilizations for 3000 years. The West and Israel need a strategic alliance with the Muslim world more than anything else, and this alliance is possible only through Russia. i think this is short-sighted. the global north needs to combine to contain the global south or the central banking mafia will eventually use them to destroy the north’s genetic advantages and all our descendants will end up as 85 IQ slave-cattle. The liberal world order, which lasted from the end of World War 2 until today, is rapidly collapsing. US is still in Middle East and now threatens war with Iran. Venezuela is on the brink. Japan and EU are the ever loyal dogs of the US. If they’ve been upset with Trump, it’s not because he wants to exert more influence but less. The Atlantic charter signed aboard the HMS Prince of Wales,in Placentia Bay,Newfoundland on August 14, 1941 by FDR and Churchill was probably the moment when the old British empire traded places with the new global power, the United States. So you are correct in your analysis. ”The Russian visitors set out Sberbank’s technology strategy and described achievements by the Moscow-based lender in artificial intelligence development. Ukraine, in the grand scheme of things, is a huge defeat for Russia. You definitely missed last 25 years of Russian-Ukrainian relations. You also, evidently, have very vague understanding of the Ukrainian inner dynamics. I am not sure we can speak of “brother nation” because Ukraine as political nation (and she did form as such by early 2000s) can not be “brother nation” to Russia by definition. In fact, being anti-Russia is the only natural state of Ukrainian political nation. There is another twist to all this–these are Russians now, who do not want to deal with Ukraine in any of her manifestations and, to rub the salt into the wound, Zbig was delusional when thought that denying Ukraine to Russia would spell the end of Russian “imperialism”. As it turned out, Russia is doing just fine without Ukraine. In a long run, if what is called Ukraine today decides to commit suicide by the cop, she sure can try to place US military bases East of Dniepr and we will observe a rather peculiar case of fireworks. This happened in 1941 at secret ABC (America-Britain-Canada) consultations where Lord Halifax was trying to recruit American resources for defense of Britain’s imperial interests. US “politely” declined. Big Three became Big Two and a Half at 1943 Tehran Conference at which Stalin was very specific that USSR wanted American as a head of Overlord. All this pursuant to a strategic scandal between US and British Empire at Casablanca where General Stanley Embick of Marshall’s OPD accused Britain in his memorandum of avoiding fighting main Nazi forces due to Britain’s imperial interests. Churchill knew the significance of Tehran and suffered non-stop bouts of jealousy and suspicion towards FDR and Stalin. I am sure Sir Winston knew that FDR wanted to meet Stalin without him. Stalin refused to do so without Churchill. As per “global power”–sure, except for one teeny-weeny fact (or rather facts), since WW II “global power” didn’t win a single war against even more-or-less determined enemy. It would have been a total catastrophe for Russia had she lost Sebastopol; but so long as Crimea is safely in Moscow’s hands, Ukraine is not make-or-break. Russia’s global position now, in fact, is even stronger than it was in 2014. It will be much worse than Brazil, Brazil managed to cover up the reality that whites dominate politics and the economy (although there is a new push to copy the American affirmative action ideology). In America whites will not be able to do what is happening in Brazil, all politics will be non white dominated, likewise the woke corporate blue haired brigade will ensure that non whites dominate all companies, no exceptions allowed. The end result of this is predictable, Americans will be wishing they were like Brazil. Globalization has fueled the rise of populism, it has helped to exacerbate ethnic and racial tensions, and it is largely responsible for the hollowing out of America’s industrial core. Western corporations have been competing with each other (for decades now) to offshore everything to reduce costs /increase profits. The idea is to sell at Western prices and produce at Eastern prices, and this arbitrage has reached crazy proportions. The US has in fact exported whole industrial sectors (with the jobs and innovation). Same in Europe with a company such as Decathlon (Europe’s Nº1 sport goods supplier) entirely sourcing its products outside Europe. Conclusion that if globalization fails, then so do these companies, and they have a massive incentive buy political protection from Western governments – which they are doing. Nationalism and America First are anathema to them and they have (amazingly) managed to built globalization and open frontiers into the ethos of the EU and US – with all the self-serving multicultural Save the World blah. Jews also hate nationalism since it threatens their (minority) power and highlights dual loyalty (or no loyalty) so the Zio-Glob are on one side, and the public on the other, with little common ground between them. This doesn’t mean that it’s impossible to stop outsourcing. If it happened, then Decathlon would either go bankrupt or have to switch production to Rumania or Portugal = higher prices, but at least the money would stay in Europe. Same with the other industries, and the first step has to be to cut down the power of the EU bureaucracy and Washington. yes – Brazil is only Brazil cos US prosperity lifted up the entire continent. if US goes down Brazil becomes Venezuela, Venezuela becomes Haiti etc. the banking mafia wanted war cos Hitler closed down the German branch of the central bank. Just prepare fort the impending surge in Totalitarian methods to halt the inevitable in the USA. The rest of the world is not our playground. Haas and CFR included, do not operate with actual facts and data. Absolutely correct. Without an honest media, it is impossible to make good decisions. Those Zionists who control the media in the West are deluding themselves. They will be the biggest losers when ordinary people finally wake up to the fact that they have been lied to for over 100 years – WW1, WW2, Palestine, Vietnam, Yugoslavia, Ukraine, Russia, Crimea, MH-17, Skripals, Iraq, Iran, Venezuela, Syria, 9/11 and many other instances. Not so fast. OK, so maybe Zbig had some second thoughts about the whole project in 2012. But didn’t the same Zbig opine in 2015, at the start of Russia’s Syria intervention, that the US should strike hard and fast before the Russkies managed to complete their buildup there? To me that sounded rather much like an unprovoked attack on Russian troops, who were legally in Syria at the invitation of its internationally recognized government. Bottom line, for all of his far-too-long career Mr. Brzezinski has been exactly what one would expect from the spiritual father of al-Qaeda: a vile and reckless individual. Anyone looking that way for salvation needs some time out for reflection. This is an excellent article, which addresses the key historic driver of our time. By 2015, world GDP had already passed the threshold where the GDP share of the West had become lesser than the share of the Rest. The major share of global wealth shifting towards Asia is an ineluctable historic re-alignment; it is a natural return to the long-term historic balance pre-Industrial Revolution. Western politicians ‘ problem is that they don’t want to “break the news” to their people that Western standards of living are going to degrade ineluctably over the coming years, because that would expose their incompetence, as well as highlight the need to address wealth inequality in the West. It is easier instead to the blame the disenfranchised, pauperised citizens voting for Trump, Brexit, and other “extreme” political parties. Zbig was, and still is, even tho’ he is dead now. He was the original zio-neocon illuminist satantic globalist elite. At least Brzezinski became well aware of this shift. So many of America’s neo-conservatives have largely failed in expressing this defeat. Between Brzezinski and Boot, & the Others, they’ve all turned out to be fanatic ideologues. Zbig was, and still is, even tho' he is dead now. He was the original zio-neocon illuminist satantic globalist elite.